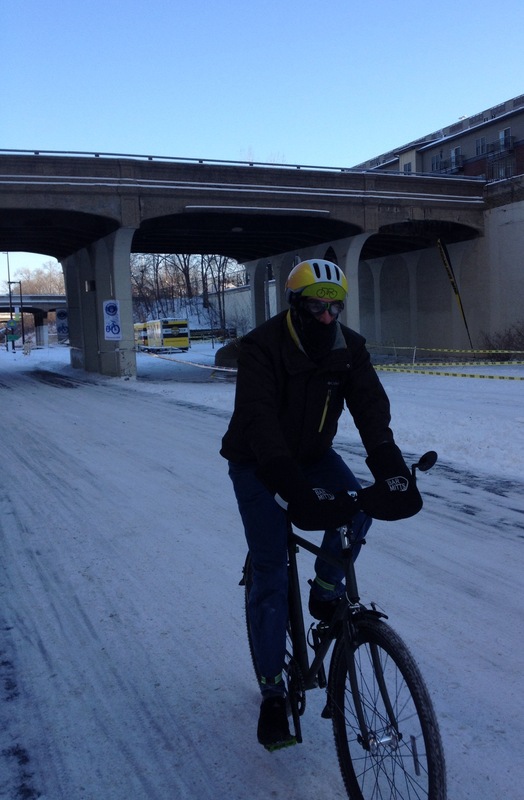 Tony Desnick rides down the Midtown Greenway in Minneapolis, a rails-to-trails bikeway that forms a popular east-west route. Biking in Oulu is accessible for people (and pets) of all ages and abilities. Photo by Pekka Tahkola. Winnipeg kids aren’t afraid of cycling in the snow. Photo by Janice Lukes.